Mason joined Frontier Capital in June of 2017. Prior to joining Frontier, he worked in many different fields of marketing, communications and recruiting. 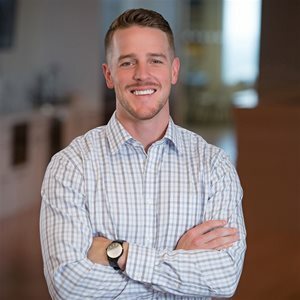 Most recently as an Executive Search Consultant with one of the firm's growth partners, Sockwell Partners, where he helped in Frontier’s diligence and talent evaluation process, while also recruiting high-level executives into positions across all industries throughout the U.S. Prior to Sockwell, Mason was an Account Supervisor for Red Moon Marketing, where he oversaw multiple nationwide marketing campaigns for clients such as Coca-Cola, Chick-fil-A and Cub Cadet. Being the second oldest of seven children, Mason spends most of his free time with family and cheering on his younger siblings at their many sporting events. He also enjoys working out, traveling, exploring new restaurants, restoring old furniture, enjoying live music and never missing a Carolina Panthers home game.